Advertising in Deer Tracking Magazine is simple and affordable. 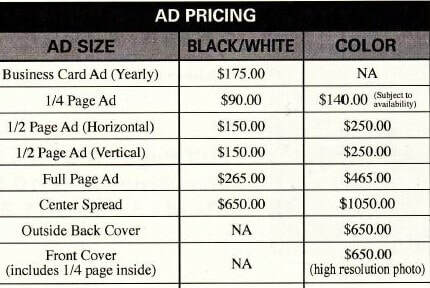 See media kit below for ad specs, rates, and sizes. NOTE: See updated deadlines with the decreased number of issues (Spring/Summer and Fall/Winter issues remain). Don't have an ad yet but know you need to advertise? We have a great designer also, and with his help, we can design your ad for Deer Tracking for a very reasonable cost. We offer service to Deer Tracking advertisers and want to help you sell your product as much as you want to sell. Contact us for more information on ads designed by and for Deer Tracking. We also have a reference list of other great designers in the industry that may be able to help you design your perfect ad. Let us put you in touch with just the right designer for your needs.